He stablished Fence Fit in 2010 with one aim, to make the term fencing as every day as basketball or football. Since then he has introduced fencing to thousands of people through programs, courses and exhibitions. Working with Dublin City Council Sports Officers, South Dublin County Council, Pentathlon Ireland, Culture Night and Schools Sports Programs. 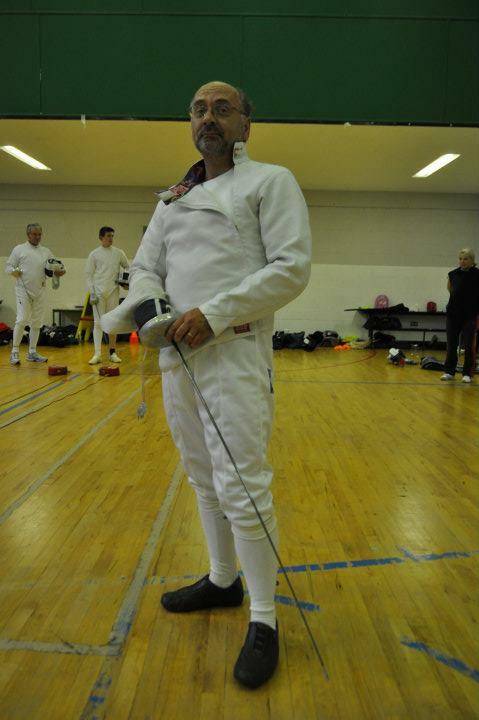 Since Doug took up the sword as a carrier he has served on the Fencing Ireland board of Directors 2013/14. Became a registered fencing coach with Fencing Ireland 2009. Created Fencebook, the go to page on Facebook for what’s happening in fencing in Ireland and has had articles written by the Sunday Independent, the Daily Mail and Image Magazine. As Fence Fit has so many aspects with a broad variety of outlets and to give his club its own identity Doug decided add the name Ravenwood Fencing Club to his club in Drimnagh on Sundays. Doug also coaches Blessington Fencing Club on Friday evenings.